You have both Spirit Guides and Angels who have been with you from the time of your birth. As a spiritual being, you aligned with your team of guides while you were in the pre-life planning process, before incarnating into the physical. While fully present in spirit, you (your Higher Self) chose guides who could best serve you in accomplishing your life purpose, learning your life's lessons and fulfilling your mission in life. You also strategically aligned with spirit guides who could offer you protection. Now that you're well into your life on earth some of these guides are the same, and some have shifted due to your choices over time, what you have chosen to focus, on and what you're desiring and moving towards now. Spirit guides range a great deal in vibration and what they can help you with. Spirit guides are friends and family from past, present, future, and parallel lives that are currently non-physical beings. They can range from typical spiritual advisers, to animal totems, ancestors, star beings, and highly evolved enlightened beings and ascended masters. Most spirit guides have at some point lived lives as physical beings (on this planet or others). Connecting with and working with your Spirit Guides is well within the scope of your spiritual abilities that you're able to develop (or better yet remember) in your lifetime now. You're probably already receiving signs and signals from your spirit guides who are always reaching out and offering you nudges in the right direction, and often trying to get your attention so that you can refine the process of working together to receive clear and effective guidance. Spirit Guides each have different roles, strengths and abilities, depending on their purpose in guiding you now. Some are strictly for protection, some offer guidance in certain areas, and others focus on connecting and interacting with the guides of others to align synchronicity, or to facilitate teaching. Learn about some of the types of spirit guides here. It is well worth the required focus and effort to meet and build a relationship with your spirit guides (especially if you have not yet consciously done this). Spirit guides can be hugely supportive, as they are able to intricately understand your soul's purpose, desires, present state of being, and they can view your challenges and lessons from an entirely different perspective… from spirit! Most spirit guides can look at your energy and read your energetic signature to gain an in depth view of what is currently going on in your multidimensional human experience. Regardless of whether you can already see, hear, sense, and experience the guidance and presence of your Spirit Guides, they are with you helping to guide your life. Spirit guidance often comes in the form of signs, through your intuition, you may receive a repetitive idea, or a gut feeling, or experience your Spirit Guides in dreams or meditation. Spirit Guides also love to work with synchronicity to line up blessings, opportunities, and chance meetings in your life. It's likely you've benefited from your Spirit Guides a great deal already, whether you realize their assistance or not! Each time you connect with your Spirit Guides, the pathway is illuminated a bit more, and your connection strengthened. The first few times you focus in to connect, a safe, quiet and comfortable location is recommended. The following process as given to me by Archangel Michael is effective, safe, fun, and simple. Take a deep breath, focus inward and relax. 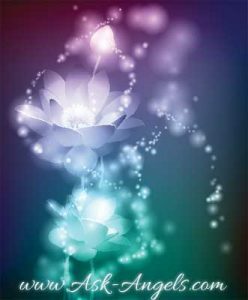 Imagine that you are surrounded by a pure white light of the Divine which surrounds you completely and totally in this dimension and in others. This white light of the Divine lifts you up and cleanses you, and protects your energy. By your simply thinking of having white light all around you, you call it in. Breathe in the white light and as you exhale, relax and let go. Enter into the present moment, become aware of your breathing, aware of the light which is all around you and within you. Breathe in the white light, and exhale while letting go of tensions, worries, frustrations and doubts. Breathe in one more time, and now as you exhale imagine your energy flowing downward, grounding you to the core of the earth, grounding you to the light at the earth’s core, flowing way down until you are connected with a beautiful light therein, the light at the soul level of earth which is connected to the Divine, which is connected with you, which is connected to All That Is. Experience your oneness and now let the light flow upward. The white and golden light to flow up through your feet, up your spinal column, traveling upward and cleansing and elevating your vibration, magnetizing your personal power, and focusing your presence and your focus in this very place and time. Imagine the light continues up, flowing up and out your crown, out of the top of your head, above your upper chakras, above the lights, above the angelic realm, above the realms of ascended masters, above the spiritual planes, up as high as you can imagine, up into the light, into direct presence with Source, God, and All That Is. Go up, way up, lift into the light and feel your connection with Source, God, the one life-force energy flowing throughout everything, that you are a part of. Breathe and be aware. Let go and just be here now in this space which elevates your vibration. Just be here now in this presence with the Divine which illuminates your spirit, which rejuvenates your being, which cleanses, and which elevates your frequency. Quiet your mind, open your heart, open up your energy. Feel, know and experience the presence of your Spirit Guide with you here and now. Notice the presence of your Spirit Guide who vibrates with a specific energy pattern. It is an energy signature so that you can recognize their presence moving forward. Be aware of how you feel now, of what you see now, of what you hear, of what you smell. Pay attention to your subtle psychic senses as your Spirit Guide, the one who can most serve you now, unites with you in this present moment. Notice your feeling, your state of being, and the mental images, thoughts and impressions which appear in your consciousness, which deliver the guidance of your Spirit Guide to you now. Take a moment to pause and close your eyes. Breathe and receive that which will most serve you now from your Spirit Guide according to Divine will. Receive as you simply breathe and become aware of the guidance of your Spirit Guide. Express your gratitude for this being of light who has shown up for you today. And now as they step back, you may feel a wave of love and then notice the subtle difference as you return to simply being aware of your oneness with the Divine, through your connection to All That Is. Be patient with yourself if you're learning to connect with your Spirit Guide the first time. You may want to spend quite a while just basking in the Divine energy first, to elevate your vibration and calm your mind so that you're able to experience your Spirit Guide. It may take you a few times working with this process to really get a clear understanding, vision, or sense of your Spirit Guide, and who they are and how you can work together. The more you make the link, and work with this process… The more of your Spirit Guides you will be able to meet and the stronger your connection will become. With practice and persistence it definitely gets easier! By increasing your awareness, practicing, and connecting with your Spirit Guides, the more clearly their guidance and assistance will flow through. Check out Automatic Writing as another method to link and work with your Spirit Guide, and however you get information, be sure you know where it is coming from and use your discretion and good judgment regarding what comes through. Once you can feel the connection with your spirit guides and angels, you are ready to start receiving guidance from them directly, yourself. Receiving angelic and divine guidance has been the most powerful benefit in my life and something I am passionate about sharing. At this time, I've helped thousands if not tens or hundreds of thousands of people to connect with their guides and angels to receive angelic guidance. If you feel the nudge that now is the right time to learn how to Receive Guidance from your Angels, Click Here & learn how! Or Click Here to meet your Spirit Animal! Was this helpful for you? Were you able to use this process to connect with your Spirit Guide? Be sure to leave me a comment below or on facebook and let me know! I know lots of what you talk and teach about by personal experience, though usually through my traumatic brain injuries and the times I was tortured. I’ve had lots of bad experiences throughout my life . I’ve seen some things that defy explanation from childhood to adulthood, from ghosts who’ve acknowledged me to spirit guides saving me . I once woke up in the morgue having been passed off for dead and when the error was realised and was been taken out in a wheel chair and I stopped them by putting my feet flat on the ground , I could hear the others asking for just a little more time to say goodbye and other things , but there was a huge , tall silver haired guy whose voice was over powering and I’d say bullying and that is who I spoke to . I told him to leave them alone and I shouted to the others I’m sorry but I have to look after me as I’m in the land of the living. The hospital staff thought I was hallucinating due to my injuries , but I swear this is what was happening and it was nothing really to me due to my experiences. 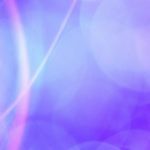 I lost my ability to pass energy , a healing energy that would last for about five minutes, something that gutted me , ”twas lost due to the brain damage from my trauma. I’ve spoke to people and those who’ve known my energy transfer and experienced it believed me , but all others disbelieve, but I don’t care as I know myself . Thank you for the great article . more protection and guidance from LOVE ITSELF!!! Love from jopelin to everyone who wants to recieve….Melanie, U are Wonderful!!! Thanku so much for your guidance. I actually get signals. I will definitely follow the way of meditation as you said.Thanku once again. Thank you, I was able to feel a peace… and the tingling sensations of this …. Great, I love It, I love you Melanie!Thank u.
I need this enlightenment . My life depends on it. Thank you for your messages, they always come at the exact moment that I need guidance. This last post is so good, for the first time in many years I really felt a connection to the higher realms. That hasn’t happened before. Even my visualisation is coming in, and that in itself is a wonder for I’ve never been good at that. I’m so happy I was given this site and joined your group, I’ve grown so much since knowing you. Melanie’s website is a good one and very fruitful i can even recommend it to others who want to step into the spiritual world,i feel at ease whenever i read her messages and listen to her chanelled messages which i believe raises my friquency and helping me to tap into who i realy am,so far i’ve been having a wonderful experience with her teachings and even bought some of the courses that are offered in this website. WITH LIGHT AND LOVE TO MELANIE AND EVERYONE WHO ARE EMBARKING ON THIS JOURNEY OF ENLIGHTENMENT! Thank you, Melanie. Yes this has been very helpful for me. Rebecca? his message!!! When Orion spoke I felt a tug on my right hand when the fifth dimension were spoken of. Melanie what does the fifth dimension mean or connect to?? Ive often felt I am so grounded in the physical realm but go for rest with the spiritual realm for understanding & support. yet often still feel a sense of urgency in assisting family & others in need all my life! Thank you Melanie for your dedication in enlightening me! My dad passed away 3 days ago. 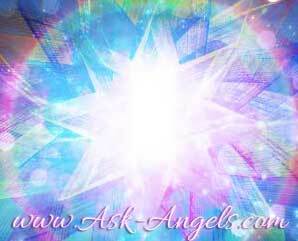 Do you have any angel messages that would help deal with grief? Hi Melanie, you know me too well that all the things you said or have been saying about me is not a lie. no one has absolutely revealed me to me as u have done.some times you make me speachless.more grease to you elbows. But i have one problem; sometimes i act like i am not me.sometimes it is foolish and some times it is right and i only discover myself after the act. WHAT DOES THAT MEAN?.Madam thank you for the great job you have been doing. STAY BLESSED. Hi.thank you for your guidance…i appriciate your wonderfull. Hi Melanie,it’s amazing to me that every time I’m having a conversation with my angels,I have a message from you telling me what I need to hear.IS that because they go through you to help me? I am a beginner. I have tried to meditate but nothing is happening. How long should I give it. Maybe I am not giving it long enough. I really don’t know what I am doing. I am 57-years-old. Does that make a difference. Archangel Raphael and Archangel Michael are coming to me. Hi Melanie, I want to say Thank you for the encouragement. I would like to know why I am inside the tunnels for a very long time and someone said its Ego?? I don’t understand- can you ask Michael how can I set myself free? Thank you Melanie for the meditation. Micheal the Archangel is my favourite angel. Hes a good protector! When i lay down at night why is it i hear voices up above me.Cant make out all the words there saying. This doesn’t happen all the time. So glad you have this web site!maybe i can connect to them. I keep seeing the number 11 numerous times during the day. Especially when I look at the clock. I know these ARE my spirit guides trying to reach out to me to move me on the right path. I’m just not sure what there trying to tell me. Will. All darkness flee from my house and everyone in it? The idea of only being able to see and accept in our hearts what we truly believe is a month to month, week to week and more often than not day to day and moment to moment experience that keeps everything new with energy that mirrors the experiences of life. Not being children anymore we tend to stray away from the magic of imagination and sometimes have us wonder why it takes so long(if it does) to find closure on new ideas. We naturally think that maybe we should know these things already. Learning a-new is the freshness of existence. It is what we would like to think youth really is. The next step toward wholeness. Faith in protective guidance moves us forward but does not always mean that life will be easy. The Struggle is often the enlightenment. Humble and Gracious is Truth. For the last 5 years I have discovered my angels. They are constantly helping me and advising me in the ways of caring, forgiveness and love. I am using the angel cards and the reaffirmations I receive are A MAZING. Every question is appropriately answered and is filled with the path of love, hence my path is walked that way also. I would love to be more in touch and meet these gentle souls. As I am a beginner, I wonder does this process take years of practice. I would value your advise. The meditation connections posted supply, brilliance and wonder as if sensing the most beautiful sky, from all angles of perception in multidimensionality, we dance in the freedom of being and leap with the grace of sensuality!! I like the… “Thank you for allowing your piece of the puzzle to shine.” It’s really so true. We each carry codes or puzzle pieces within us, and it’s when we all bring these to the table that the “New Earth”, and the enlightened humanity can really shine through. Keep dancing in the light, you are beautiful! With practice yes… But starting out the guidance will come through in whatever your strongest sense is… feeling, hearing, seeing, or knowing. Would you happen to have the process of connecting with your guides in a guided download? I’ve connected with Archangel Michael. He is so sweet and helpful!